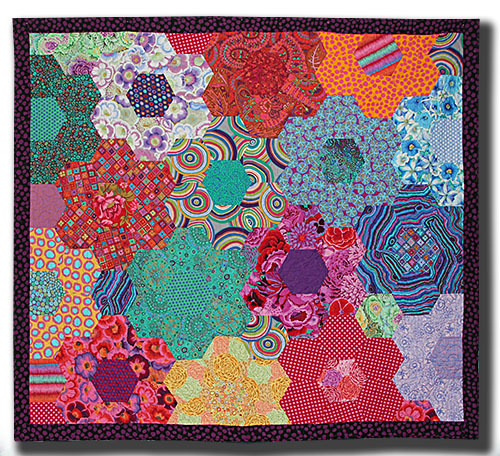 Oversized hexagons combined with bright colors and fabrics create a giants version of Grandma's Flower Garden. How fun is that?! The quilt is 82" x 92". The pattern is from the book "Adding Layer".